It’s important to spend time on finding the right lease car for your company; doing so can help you to save money, both in terms of monthly payments, resale value, and reductions in Benefit in Kind payments; the latter is particularly important to consider when looking for hybrid cars. Whether you’re looking for a premium lease car from InchcapeLexus.com, or creating a fleet of work vehicles, there are several key areas that you should be focusing on if you’re going to make the most out of a lease. One of the first issues that you need to consider is what kind of leasing agreement that you want to go for; with a standard leasing agreement, the car will be sold at the end of your lease, and you will receive a percentage of the sale proceeds. As part of the deal, you may also have to maintain a car and pay road tax. With contract hire, by comparison, you pay a fixed monthly fee towards the value of a car, and don’t have to sell it at the end of a contract, as it won’t be counted as an asset. You can then reclaim VAT and rentals against tax. Businesses can particularly stand to benefit from the VAT savings available on company cars, with a standard lease agreement enabling you to share in profits from a resale. To this end, investing in a high quality company car that’s unlikely to depreciate in value over the term of your contract can be a good idea; premium brands like Lexus are particularly good, in this regard, as they tend to feature excellent servicing benefits, a range of hybrid options, and low depreciation in the case of models like the RX. Other important factors to consider when looking for the right lease car for your business is whether the model you pick is eligible for any savings in terms of tax – the lower the amount of emissions that your lease car produces, the less road tax you’ll pay; this also applies to savings on the Benefit in Kind payments you’re obliged to make on a company asset. It’s also worth knowing about whether you can opt to upgrade the cars you lease as part of a contract hire agreement; depending on whether you want to participate in a final sale, you can have a strategy for moving through several different high quality cars without significantly adding to your monthly payments to a dealership. VAT relief on business car lease schemes, which can range up to 50 per cent, should also be explored when considering long term savings. Leasing a car can ultimately help to save your business money, and especially when you factor in tax allowances and flexible deals on monthly payments; always check to see whether you can include servicing and maintenance costs within your lease agreement, and whether or not you have to meet mileage limits and penalties. Similarly, check to see what you are liable for in terms of your insurance payments on a leased car. Jack Trenton blogs about the best ways to save on your company car deals. 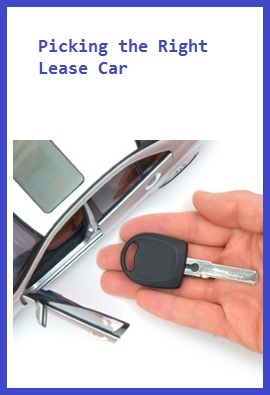 He recommends visiting InchcapeLexus.co.uk to learn more about their leasing and contract hire schemes. He also blogs about hybrid cars.